Diego Rivera (1886–1957) is regarded as the most influential Mexican artist of the 20th century. One of the founders of Mexican muralism, he synthesized European modernism, Mexico’s pre-Columbian heritage, and Italian fresco painting. Born in Guanajuato, Mexican culture and history were the primary themes of his work. A lifelong Marxist, Rivera was a socially committed artist depicting the Mexican peasantry, American workers, and revolutionary figures. Rivera painted Delfina Flores several times as a child and until she was old enough to have her own child. 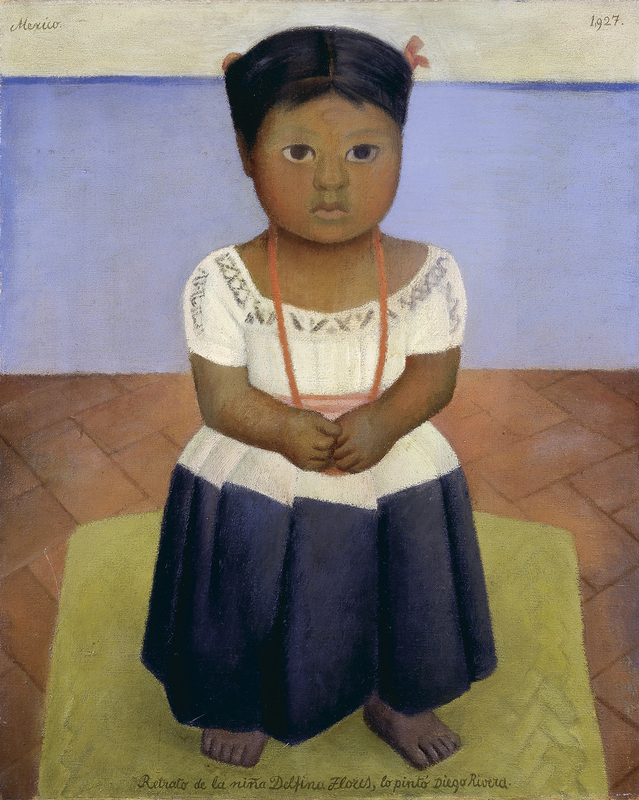 The portrait of Delfina was Marion Koogler McNay’s first major art acquisition and purchased after an exhibition of Rivera’s work at the Witte Museum.